With the “lofty ambitions” of becoming an entirely waste-free retailer, BeGood certainly have their work cut out for them. But they are managing to tackle to issue of waste in the fashion industry with a grace, grit and sense of humor that is refreshingly direct. The team tell it how it is, arguing the case for eco fashion by noting that big retail is the second biggest polluting industry in the world, and that organic fabric is stronger and softer than regular material. Their designs are as straightforward as their opinions about sustainable fashion, offering a collection of timeless garments – think sustainable alternative to GAP – that do not get caught up in seasonal fads. Co-founder Mark Spera discussed how the designers go about ensuring they produce in a way that is as green as possible in this Q&A with Ecouterre. 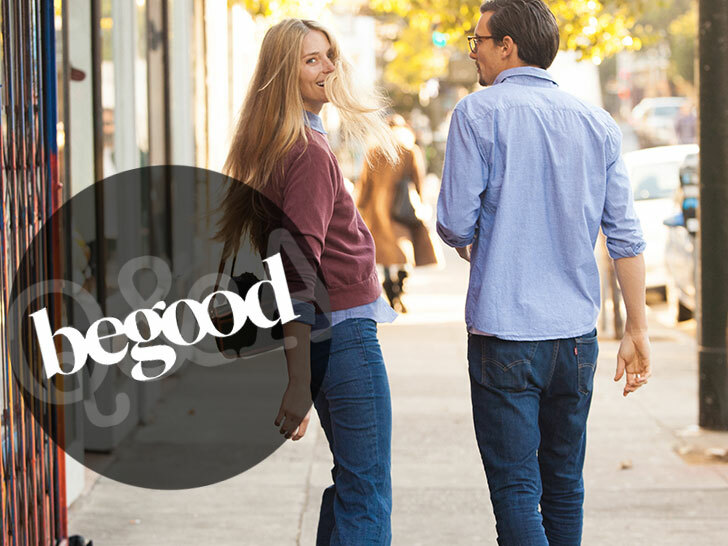 Could you tell our readers a little bit more about BeGood? 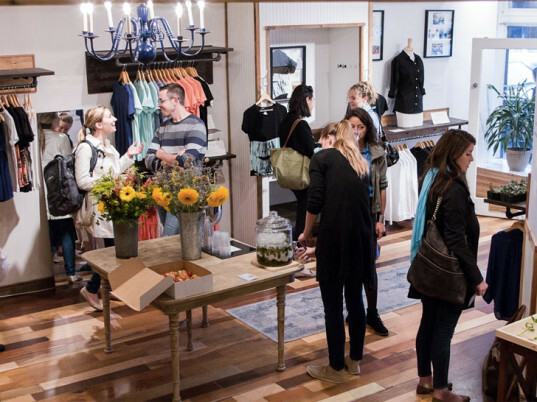 BeGood aims to be the first zero-waste retailer on earth. We began after leaving our jobs at a large corporate retailer in San Francisco. We knew and loved fashion, but the chemical and water waste that precedes it all was too much to stomach. Through vertical integration, we can oversee every step of our supply chain, allowing us to offer not only the most environmentally-friendly product, but the best product. BeGood came from a need. We felt that no eco brand spoke to us. We’re not crunchy and we didn’t want our clothing to be “crunchy” either. What are the primary objectives of the brand? The brand is focused on one thing: changing the perception of eco friendly clothing and lifestyle products. Our customers have joined us on the journey to zero waste. We like to think we’re enabling responsible behavior by liberating our customers from the normal expensive, droll and itchy fashions of eco friendly’s past. We like to be fun. We like a little bit of rebellion. But we also like to be humble. Many brands take a ‘holier-than-thou’ approach. We’re not like that. We believe that by making BeGood accessible, we’re enabling more people to experience our brand. How do you see BeGood in the larger context of the fashion industry? We’ll never be Gap or H&M, nor do we want to be. We prefer to be Patagonia: privately-held and true to ourselves. Large companies have trouble marrying purpose and profit. We believe in living and dying by our brand. Today, we’re a far cry from Patagonia, but we think our role is important. In what ways do you implement your aim of being a zero waste retailer? We look at every piece of our supply chain. We find the best organic cottons, bamboos and alternative fabrics with certifications like GOTS. We work with our factories to eliminate waste every step of the way: from recycling leftover fabrics to implementing energy-saving programs. We even take note of the packaging and the boxes we ship in! What does the future have in store for the brand? We’re an intrepid bunch. We think the best way to get people to understand us is through events. We love having parties in our San Francisco office. We like doing things a little different and a little memorable. From a product perspective: we will continue expanding the men’s and women’s assortment and will move more into home goods shortly. With the �lofty ambitions� of becoming an entirely waste-free retailer, BeGood certainly have their work cut out for them. But they are managing to tackle to issue of waste in the fashion industry with a grace, grit and sense of humor that is refreshingly direct. The team tell it how it is, arguing the case for eco fashion by noting that big retail is the second biggest polluting industry in the world, and that organic fabric is stronger and softer than regular material. Their designs are as straightforward as their opinions about sustainable fashion, offering a collection of timeless garments - think sustainable alternative to GAP - that do not get caught up in seasonal fads. Co-founder Mark Spera discussed how the designers go about ensuring they produce in a way that is as green as possible in this Q&A with Ecouterre.